I was referred to All Star Electric by a dear friend of mine, and was extremely satisfied with your service. 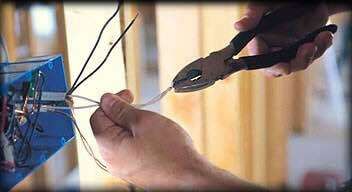 I will refer your company to anyone who needs an experienced and skilled electrician. Thanks for all your help and services! I really appreciate how quickly your electrician and his helper arrived to my house. I explained the situation to both of them and they were in and out in an hour, I couldn't have asked for a better electrical service company. Thanks All Star Electric! Fast Service, good work! Thanks. All Star Electric came highly recommended and now we know why! It's easy to think all contractors are the same, but after working with you, I see how wrong that is! You were professional, on time and extremely neat! I am very pleased! Really Great! Had to put a service call out on a Sunday (during a Broncos Game too! ); main breaker had failed and put the whole house in the black. They were punctual and worked with us over the phone prior to arrival to ensure problem was in the house and not at the Mountain View Service. Will put our business their way again. Repaired the breaker in a jiffy. Thanks. Tenant called on the Friday after Thanksgiving when most people would not have been in the office. Thank goodness All Star was! Their first available appointment was the following Tuesday between 7 and 8am; they were there when they said they would be and discovered a "sticky" circuit breaker. They were able to unstick it and recommended replacing the electrical panel which is old and does need to be replaced. But they did not go into a long song and dance about that, thank goodness! I will definitely use them again when it comes time to replace the panel, or before, should I need more help. Cut new hole for light fixture in dining room and re-routed wiring to that location. Covered up pre-existing hole where light fixture used to be. Moved light fixture from living room and re-located it to back porch. Peter was very professional, punctual, and knowledgable. He informed me of any troubles he was having but also provided solutions. He adjusted his schedule to meet my needs and did the jobs quickly and proficiently. Definitely will use him in the future. Very well. Friendly, but very professional and competent. Very professional...showed up on time and walked me through the necessary modifications needed to stay within code. I called All Star Electric because our house had suffered a lightning strike and lost power to several outlets in my garage and burned out my underground dog fence. On my initial call to Peter, I found him very professional and courteous. We talked about the problem and he was able to schedule me in a few days. Peter scheduled me early between 7 and 8 am and arrived shortly after 7. He quickly diagnosed the problem to be a faulty GFCI outlet, switched it out and proceeded to provide a little preventative maintenance on the electrical panel. The entire process lasted less than half an hour and completed solved my problem. Work was performed on time and for a reasonable price. Upon discussion with Peter I found out it was a family business and I love to support local family businesses. I would absolutely call All Star Electric next time I need any kind of electrical work.